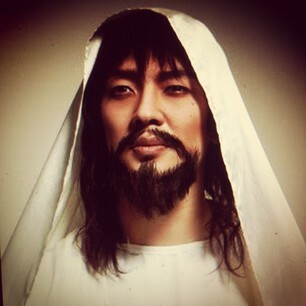 They do know they're going to hell for making Jesus look Korean, don't they? Seriously, this makes me violent. 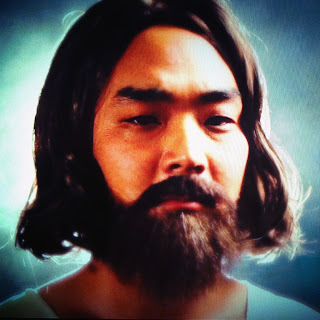 Jesus wasn't no MOTHERFUCKING Korean! If the plastic surgery craze here isn't evidence enough, Koreans are obsessed with assuming Western identities. They can barely pronounce Jesus and don't know the pearly gates from Coldstone Creamery but that won't stop their monkey see monkey do behavior. By the way, Lil Kim there on the seat next to you is a ticking bomb, In-jae. Be warned. Oh, and you should include some of the psycho postings from the dumbass Koreans -- I know this is redundant -- who police the internet. I know they must love you! "Koreans are obsessed with assuming Western identities." Right. Exactly. My personal favorite is how they tried to say that Native Americans were really Koreans. Korean Hygiene...Or lack there of.